We have been busy over the Summer Holidays as REACH is moving the main part of it's operation to Chelmsford Equestrian Centre from September 2017. 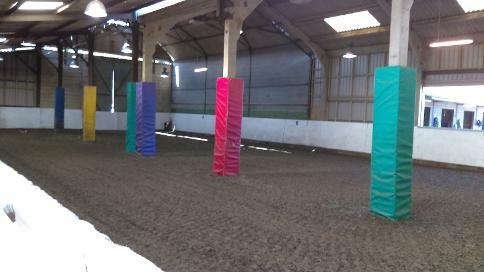 We have the use of some excellent facilities including an indoor arena (see picture below), which means we will be able to deliver our sessions in all weathers and enable the therapy to continue during winter months. Previously, we have been at the mercy of our British weather and, as a result, we have often had to cancel sessions. We moved our two therapy ponies, Annie and Mr Fuzz, at the beginning of August to allow them to settle in before the sessions start in September.